The following quote is from an article on ADA compliance. The quote tells a familiar story, where one owner of a hotel was sued more than once for different ADA compliance issues. The first time he was threatened with a lawsuit, he settled and fixed that one issue. Later, he was sued again, and fought back. At the time of the article, the case was not settled. If anything, this story highlights why a business should get a complete Accessibility Survey. Many small-business owners, however, worry that paying large settlements to Pinnock would force them to close. Attorney Theodore Pinnock has filed nearly 1,500 lawsuits in California [between 1993 and 2008]. Vasquez’s Frontier Motel on Via de San Ysidro was sued by Pinnock four years ago for, among other things, a sign violation that Vasquez said he fixed. It cost him $10,000, including attorney’s fees. He said he won’t settle this time. You can read more (Continue…). The point illustrated above is that, of course, anyone worth their salt as an ADA compliance consultant will tell you that a true compliance survey will be complete, not just of one or two issues. Partial inspections are really worthless! At first glance, partial inspections seem like a savvy business move. Why ignore liability that doesn’t involve you — after all, what you don’t know doesn’t exist, right? Or if you’re not responsible then you can’t possibly care. Yet we know this is not the case. Anyone who has ever argued with a cop over getting a ticket knows that ignorance is not a defensible position when you break the law. While providing alternate accommodations in lieu of what you can’t yet fix seems like a good catch-all for expensive compliance issues, in the long term, a lessee who continues to lease an out-of-compliance building tells the world that they don’t care. Such lessees are choosing to locate goods and services in inaccessible locations. This is just as bad as a lessor who claims everything is the lessee’s fault. If a building is seriously non-compliant, the best thing to do is leave that location as soon as possible! Which brings us to a stronger point. YTA will never do things half way. Our reports are the most complete and thorough of any ADA compliance reports we have ever seen. We also take your (and our) liability seriously. This is while some of our competitors may offer free (but partial) inspections, we aren’t going to do the same. Free inspections sound like a good idea — they can let you know what some of your liability is — a taste of what’s in violation. Many business models are built around offering free (but partial) services. For example, many tax programs offer the Federal Income Tax portion as free — to use their program to do the state tax though, requires you buy the program. This sounds good, but before you can get meaningful results, you still do need to pay. It’s not like you are paying for only the state tax portion of the program — when you pay, you actually pay for the entire program. So it’s a good way for the free (but partial) model to compete for market share, because it seems like they are giving something of value away. We do commend our colleagues for taking the time and resources to help businesses with something. Our colleagues stand for the same thing we stand for — to bring about ADA compliance — to protect disabled individuals AND the businesses who do something about not being compliant. But that’s where the differences end. How good do you think the free version of tax software is? Getting a partial inspection may get their foot in your door, so to speak, for becoming ADA compliant, but what happens when your customer goes through your door? If YTA were to compete with this model, we would have to offer free inspections all the way up to some further arbitrary point. For example, we might do everything for a business (b) type occupancy except for the restrooms. For hotels (r) type occupancy, we might choose to check only the rooms with roll-in showers. Such an approach would defeat the purpose of ADA compliance. 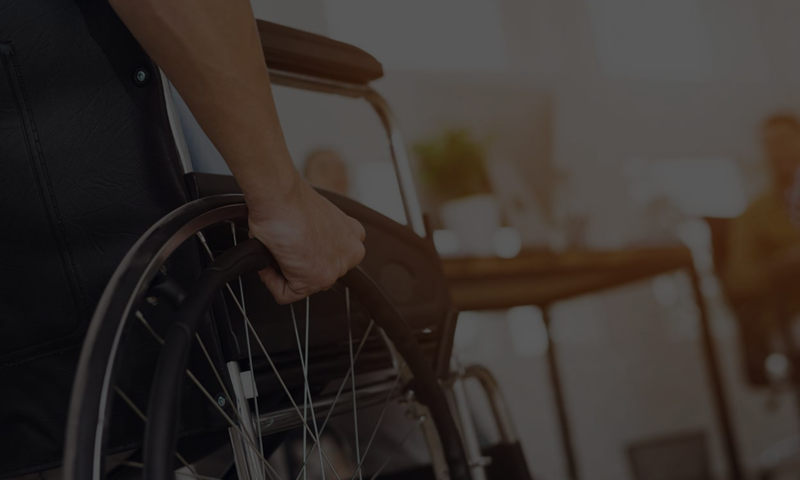 Offering “free” and partial inspections devalues both what the ADA consultant does, and the importance of proper access compliance. If anything, “free” only entices an uneducated public by failing to communicate the real value that comes with applying access codes to an actual site. “Free” can sound like one gets something for nothing, or as in some cases, nothing for nothing. The real purpose of getting an ADA compliance survey is to better serve the public and eliminate liability. Partial inspections can do neither. Any ADA compliance work needs to look at the complete general path of travel. Making suggestions or citing violations for only a part of the route can create nonsensical “solutions”. Compliant ramps are good and well, but if they lead to non-compliant rooms, then the path of travel is misleading. People can get trapped or confused. Any further access work in the future then would have to undo these “solutions” in order to become truly accessible. YTA follows the model that general information should be free. We recognize that businesses need time to do what they do. This is why we offer free seminars whenever possible to interested organizations. We do not act as the gatekeepers of knowledge, keeping what we do for a business a secret. We would rather share information. Anyone can go to the ADA.gov or buy a set of the California Building Code (and given an indefinite amount of time become an expert). We have years of experience, but we are willing to offer this openly to save everyone time. We present the information. As our potential customer, you can qualify yourself. Our seminars will address 80% of the most common issues sued for. With this information, responsible individuals can go back to their facility and recognize if they need a customized experience. This is also why we take the time and expend the effort to answer general questions but don’t offer free consulting services. Every site is different, with different liabilities. In to thoroughly eliminate liability and provide for access we need to fully inspect your property and make thoughtful recommendations. This costs us time and effort. We believe in a straight-forward no-nonsense approach. You recognize if we can help you or not. We will not cookie-cut a report for you. Come to our speaking events. Through public education, we will show you what we do. If you have further questions, we will continue to service your needs.